Japanese print and installation artist Ayomi Yoshida has begun the installation of her new exhibition, "As Cherry Blossoms Fall," which opens on January 22 in the Perlman Teaching Museum. 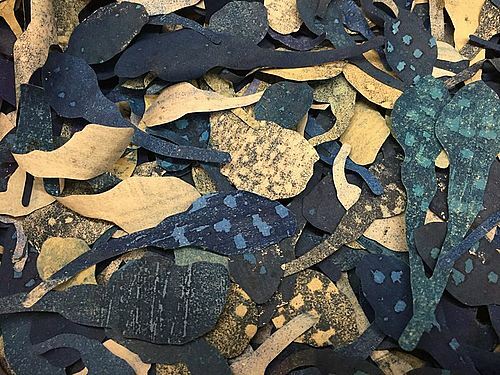 The exhibition includes over 100,000 hand-printed woodcut petals. Yoshida used five different shades of blue, and a custom-made die cutter in five different shapes. 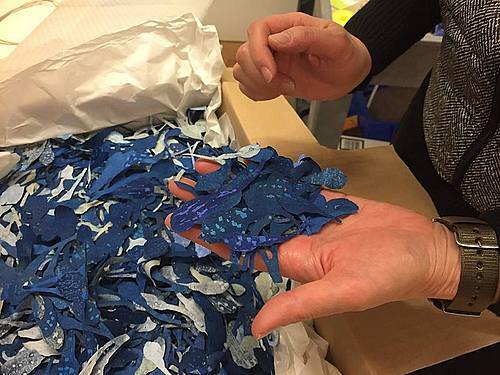 These gorgeous petals will be glued one by one with the help of over 20 art students from Japan. It's a lot of work!